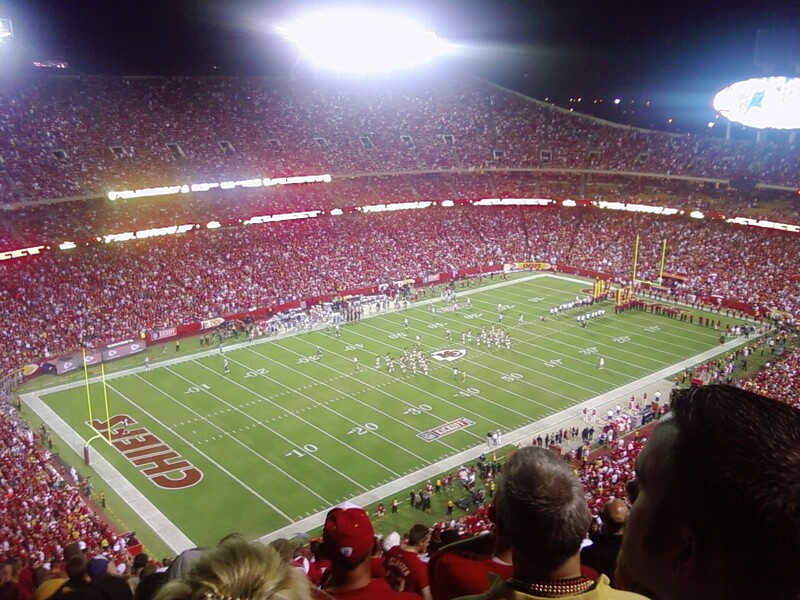 The NEW Arrowhead Stadium. The New Arrowhead Stadium view from cheep seats in south west corner of stadium. HD Wallpaper and background images in the NFL club tagged: football kc chiefs chiefs arrowhead monday night football. This NFL wallpaper might contain ビジネス街, 繁華街, ビジネス地区, ダウンタウン, and ダウンタウンのビジネス地区. Loudest stadium in the NFL. Atmosphere is amazing as is the tailgating.